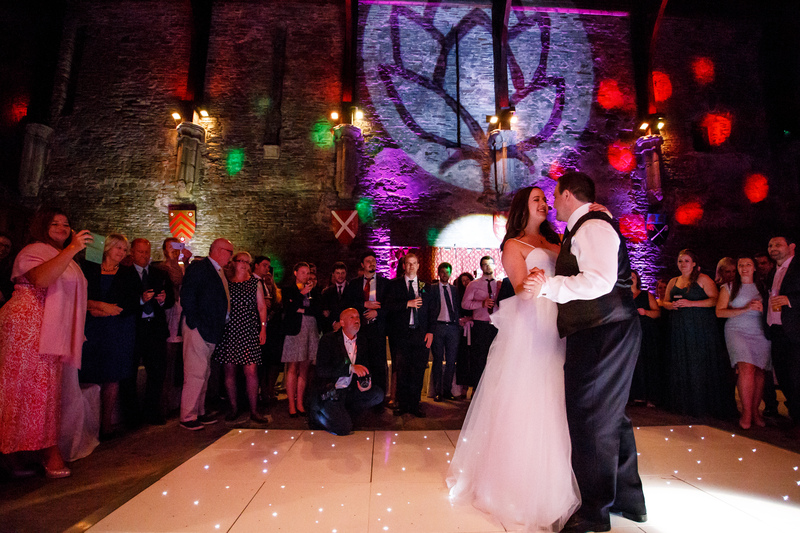 All weddings are special, but it is always a pleasure to be part of every aspect of a wedding. We were able to set the whole service from ceremony to end of party. Their music for their reception was a range of classic and progressive rock from the 70’s and 80’s, and so was an opportunity for the old vinyl to come out! 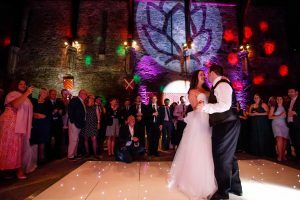 We dressed the courtyard of the castle with external up lights and fairy lights. 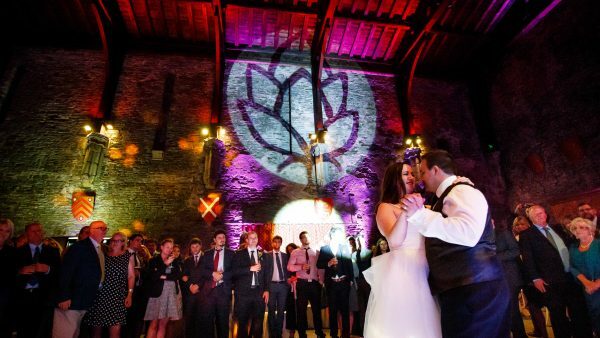 We provided a customised gobo in the shape of a hop which was projected onto the wall, and in keeping with the floral arrangements in the windows. These people loved to dance! A fun time was had by all.